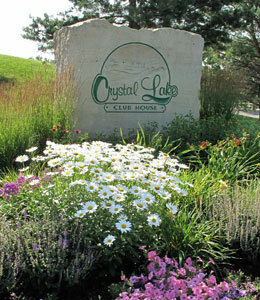 Crystal Lake golf leagues are run independently from the golf course. Click here for more information on the Men’s league. This web site is updated in March for the current year. We are excited to announce the 2019 season. League play will officially begin on May 14, 2019. Below is the registration form to be completed and returned by March 29, 2019. The women’s golf league will begin on May 14, 2019 and will end on August 27, 2019. May 7, 2019 – Kick-off meeting at Crystal Lake Golf Course Banquet Room at 6:30 p.m. The total membership fee for the season will be $370.00 (same as last year). Included in the price will be the green fees, weekly game prizes, a mid-season event sponsored by Crystal Lake Golf Course and an end of year tournament with a meal served afterwards. Weekly play (except tournament) does not include a cart. There is a fee of $10 each week to rent a cart if you wish. Handicap fees, if you choose to have a GHIN, will be an additional $40. If you choose to have more than a 4-person team, you may split the green fees of $330, but each player will need to pay an additional $40 which covers prizes and banquet expenses. Any Crystal Lake Golf members will pay only the $40 prize and banquet cost, as their greens fees are covered in that membership. Registration is due by March 29, 2019. We will be able to accept credit card payment this year. Each team member must complete the registration form. If you are paying with a check, mail the completed form and your payment to the course. Course information is on the registration form. If you are paying by credit card, call Wendy Land at the course with your credit card information. Credit card payers may send the completed registration form either via mail or electronically to the course. Once all payments for each foursome have been received at the course, you may bid your team time. Tee times are assigned first come first served. It is ok if you do not have a team; individual registrations are welcome. We will be limiting registrations to 68 women this year. Returning members will have opportunity to be placed in tee times first. After all returning members are placed, any open spots will go to new members. A waiting list will be kept, with the date the registration was received. Thus, it is very important to get your registrations in ASAP. There will be 15 weeks of play. No golf on July 2, 2019. If the weather is questionable the day of play, an email will be sent out to all at 3 p.m. For the “rain-out” days, each member will be given a comp card for a free round of golf the next week. This raincheck is good for 18 holes of golf. If we have two rain days, the prior comp will cover both days. There is no Junior League, however check out the Junior Program run by Pro Sheryl Maize. Not a competitive league – but a friendly night out for couples that includes 9 holes of golf, cart and one Free Drink ticket ( good only after your round in the Pub ) per person $24.00. Call 952-432-6566 Ext. 2 (ProShop) Wendy at Ext. 4. "Thank you for the extra hard work that goes into doing our Progressive Luncheon. The food was fabulous...the whole event was a huge success!"